Imagine a world in which registering to vote took only a simple form and no more than a few minutes of your time. Imagine a world in which the myriad ways that our government entities use to identify you could ensure that you get a say in exactly who does the verifying. 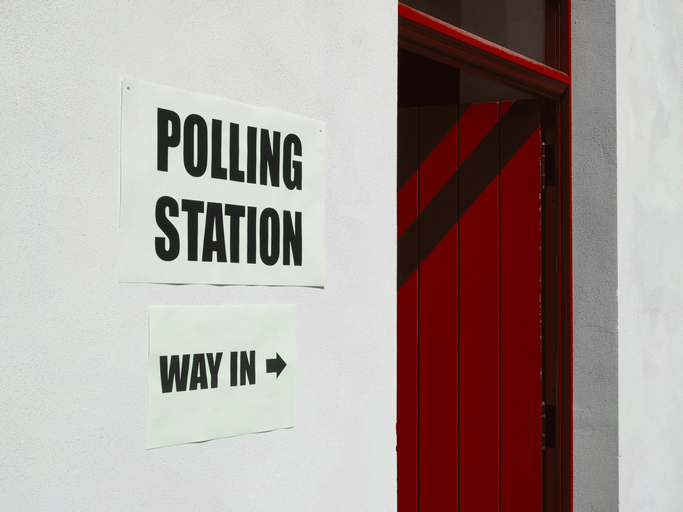 Imagine a world in which casting your ballot could be completed on your way to work, on your lunch break or on your way home before you pick up the kids from school. Such a utopia need not be reserved for the depths of our imagination. In fact, for some in our country, much of this is already a reality. Thirty-one states and the District of Columbia currently offer online voter registration and five states automatically place their citizens onto voter rolls whenever they interact with government agencies. In the last presidential election, the average time it took to vote actually fell across the country – from 16.7 minutes back in 2008 to 13.3 minutes in 2012. Yet, despite those positive developments, one need only scratch the surface of these rosy data to reveal the discordant truths that coexist in our democratic process. Seven states maintain strict laws that require forms of photo identification that 11 percent of eligible voters do not have. Federal law requires states to maintain updated voter registration lists; however, when those laws result in the purges of millions of citizens from the rolls every two years, various states and their officials seem to disproportionately remove the poor, mistakenly remove Asian and Hispanic voters because they matched their surnames to the wrong people and in some cases outright intimidate black voters by sending police officers door-to-door to challenge those voters’ registrations. (And those are not even the most egregious purges.) Lastly, countless stories have documented how the closure of polling locations in heavily populated voting districts and the shortening of early voting periods across the country have caused citizens to wait up to five and seven hours in the blistering sun to exercise a right that the Supreme Court, dating back to 1966, had previously deemed “fundamental.” In other words, the extraordinary degree of variance at the other end of the voting experience skews our democratic process toward dystopia. A host of solutions – such as modernizing, automating and making portable across states our voter registration system – could restore our faith in the voting franchise and convert it from a source of disgrace to one of national pride. But at least two solutions seem to be obvious cures to the long lines that force people to decide between their civic duty and their daily bread: increasing polling machines in heavily populated areas and increasing the number of competent poll workers hired to assist in the process. When asked about the cause of long waits at the polls, 38 percent of local election officials pointed to either a shortage of ballots, machines or poll workers. And it just so happens that the places where election officials say they have the greatest difficulty finding enough number of poll workers are those with the highest percentage of registered voters casting their ballots in-person on Election Day. When these facts are observed next to the widespread confusion regarding rules for issuing provisional ballots to alleviate voter registration discrepancies, it appears that there are some problems with our voting system that law student volunteers – a group of people especially attentive to rules and changes in laws – would be uniquely poised to address. That is why I am proud that Northwestern University Pritzker School of Law has canceled Election Day classes to enable law students and faculty to volunteer their time to assist with poll working and other election protection efforts. And I am also proud that our law school will be hosting the ACS Midwest Regional Convening this weekend, where we will both begin and end our gathering with discussions on challenges to and ways to protect the right to vote. This will be the first presidential election without the full umbrella of the Voting Rights Act since its passage in 1965. Though the Supreme Court’s Shelby County v. Holder decision has dulled the law’s force, watching thousands of law students and faculty across the country volunteer to protect the right to vote would undoubtedly revive its spirit. Such efforts could very well remind our nation that when it comes to how we guarantee a right deemed by law to be “fundamental,” our aspirations for the ideal and our imagination of what is possible should, in fact, be what guide us.